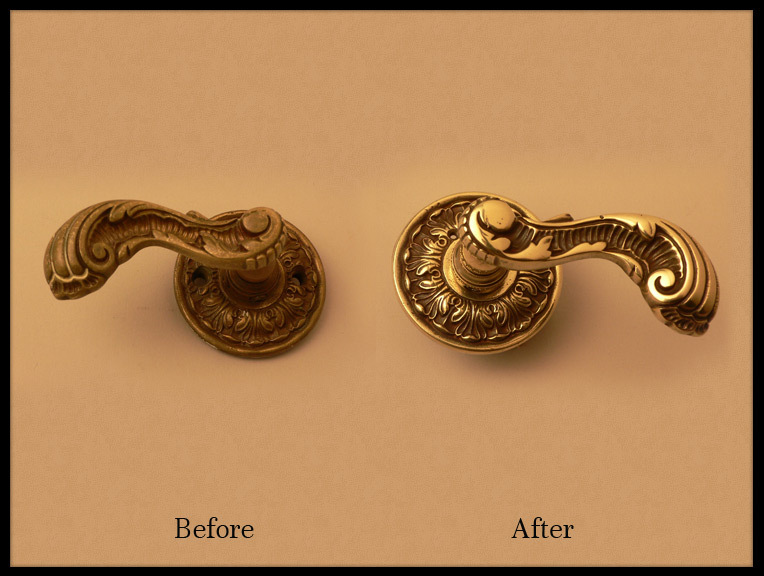 From your front door handle & knocker to the pulls on your kitchen and bathroom cabinets to the knobs and hinges on every door in your house...Hardware is something you and your family and guests see, touch and use many times every day. 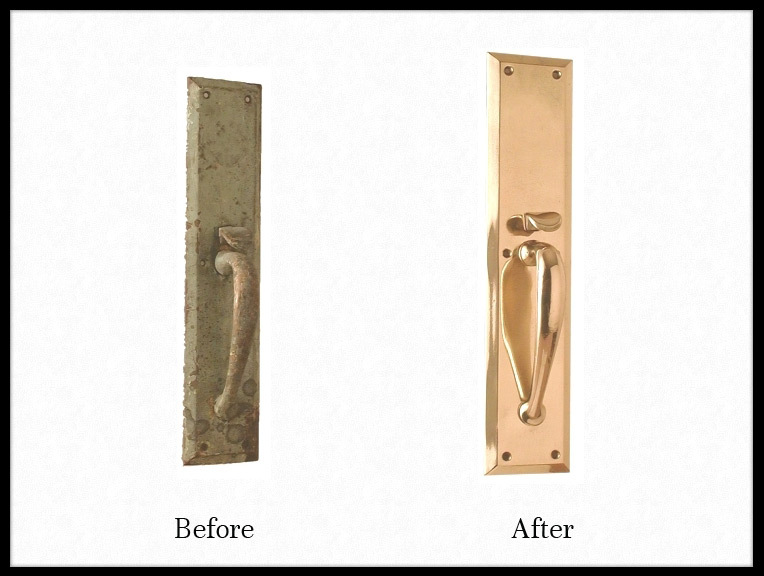 Designers, contractors and homeowners alike have found that nothing upgrades the look of a room quite like changing the finish of the hardware. 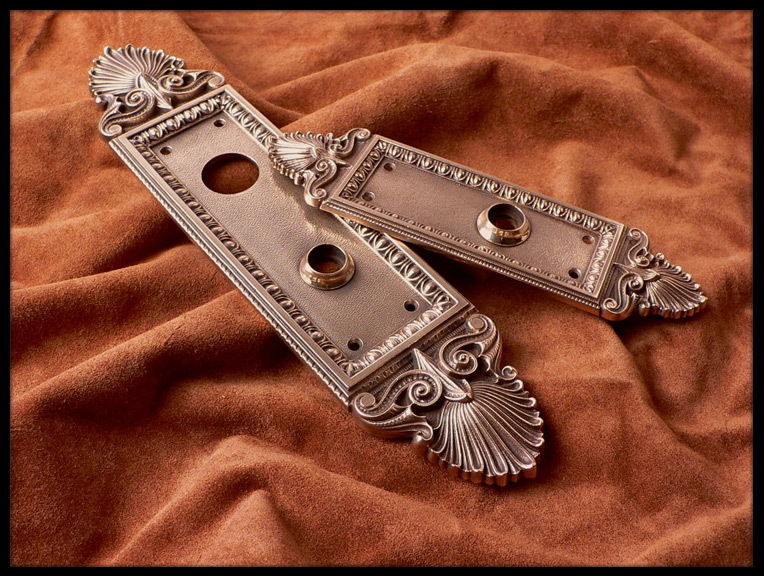 The gleaming shine, soft luster or rich dark patina can turn these important pieces into architectural jewelry that provides the perfect accent for your decor. 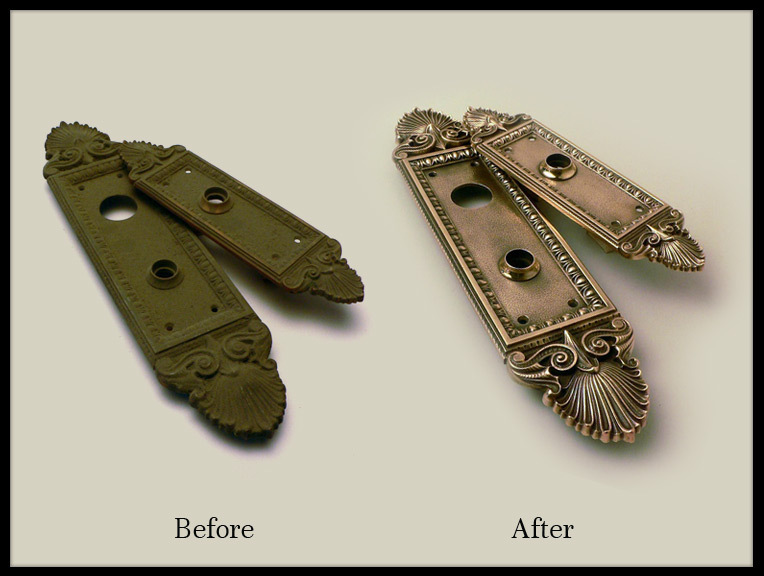 Perhaps you have an older home filled with period hardware that has become worn, dull and tarnished or rusted over the years. 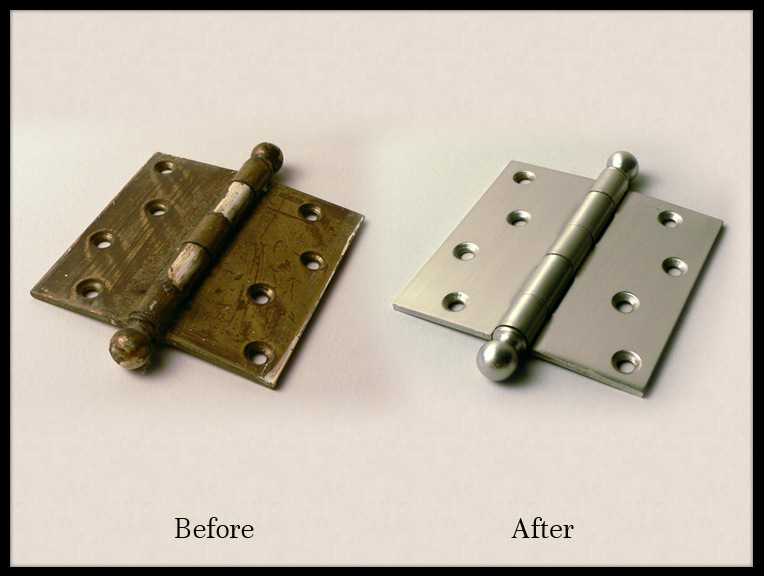 Have the home's previous owners simply painted over the doorplates and hinges? 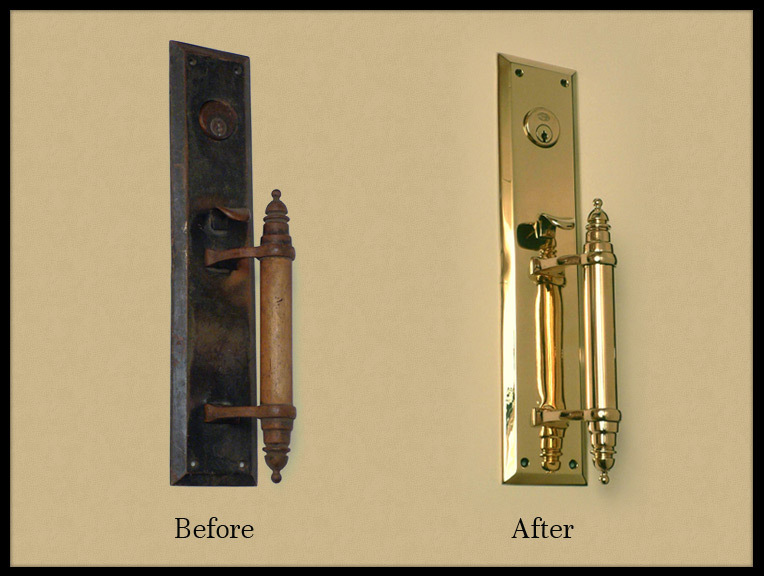 We can reveal the beauty you never knew existed in your antique hardware or update your more contemporary hardware to fresh, modern look or give it a rich, aged patina to complete your remodeling project and enhance your home. 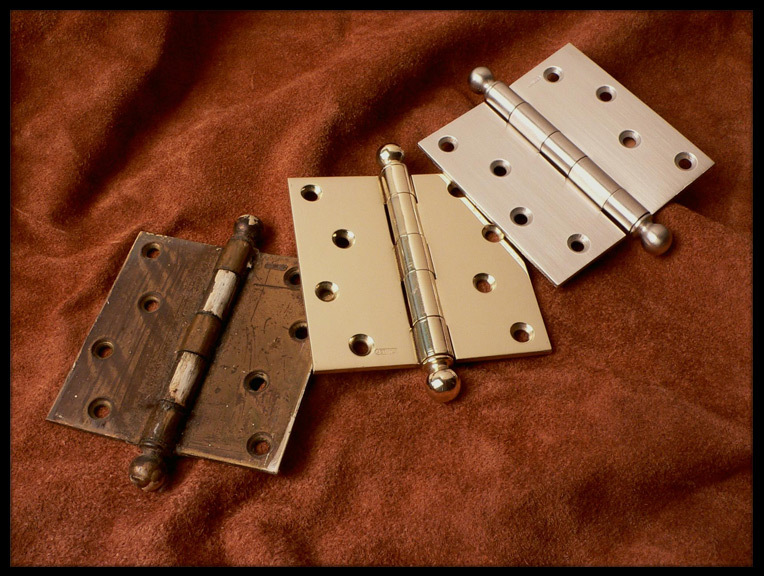 We can refinish your entire houseful of hardware, one room or even one door at a time, whatever you prefer and can keep each room or door separate and labeled if you desire. Locks are checked for proper function, missing or broken parts repaired and each small piece handled individually with care and expertise for exceptional results.